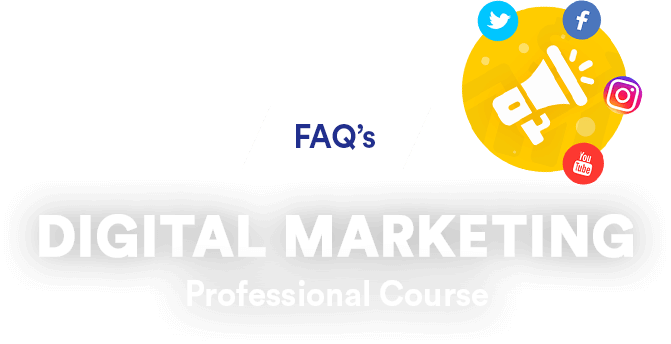 Unclear about the information on our Digital Marketing Course? Well, we have put together answers to some general doubts. How long will it take me to complete the Digital Marketing Course? Generally it takes 3 months, but the duration may extend due to unforeseen circumstances. What will I be able to do after completing the course? This course will equip you with the knowledge of digital marketing. The course is drafted in a stepwise process, so that anyone is able to learn it with ease. Get your website to the top of Google's search results, as you will learn about ranking your website. Experience what a social media expert is, as we will teach you how to design appealing ads and social media posts. Learn how to gather a wider customer base by generating leads from your website. 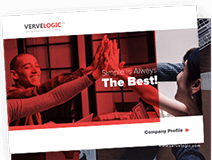 Keep up with this fast-paced world, as you will be equipped with the knowledge of designing and managing websites, and content planning as a bonus. Improve your chances of being hired, because we will prepare you for more than 10 industry recognised certifications. Get rich, by knowing the tactics of earning via your YouTube channel and we will help you in learning to design a better online business model. We will help you in getting in-depth knowledge on search engine optimization, principles of optimized content writing, post penguin link building techniques, blogging principles, Google Adwords (Search ads, Display Ads, Mobile Ads, Video Ads) (Designing a PPC campaign with optimum ROI), Google Webmasters, Google Analytics, Email Marketing, Video Marketing, Facebook and Instagram Advertising, etc. But as you might have experienced till now that all what is written in the books is different than what actually happens in the real world, we got your back in this too. We will prepare you for the real world by teaching what actually works and what doesn't. Will I be able to get ANY website to the top of Google’s search results? Definitely. The knowledge you will gain about Search Engine Optimisation (SEO) will help you get a website to the top irrespective of the type, and ultimately you will be near to being an online success. When are the new batches starting? You can check out our website for the latest information on the batches. Batch commencement dates may vary depending upon the completion of the last batch, but don’t worry we will keep you updated through our website. How big is a batch in the course? Keeping in mind that each and everyone who joins gets the best out of the course, we have designed a batch of 15 students. The number is decided after a research so that our professional trainers are able to work with each trainee and give them personal guidance. What all will I be required to bring to the class? This is an interactive projector based class. You will be required to bring a personal laptop and we will keep informing you about the further requirements as the class progresses. Will I be getting study material from your side? As far as classroom notes are concerned, you can rely on us about providing the best notes on Digital Marketing, but we are sorry we do not provide any printed study material. But no need to worry, we will help you by suggesting online links for further reading. Moreover, the course is designed in such a way that every concept you study can be practically applied. And for this, we will help you create a working blog/ website where you can implement the concepts taught. We know first impression lasts, but for a course like Digital Marketing we suggest you should not rely on the results of the first class since there’s so much to learn about and things will only get better when the trainer will get familiar with you gradually. It’s not that we are persuading you by giving the options of either joining or not joining, you can contact us for a detailed discussion on the concept of Digital Marketing which can help you decide if this course is for you. Are there any weekend classes? Our past experiments with organising weekend classes has not been a good experience. So we just have the regular 5 day/week class. People not good with English can join too? All you need to be good at is understanding English, by which we mean reading and writing. Good communication skills in English are not a prerequisite. But if English is a horror for you, we would not suggest this course to you. I don’t have much knowledge about internet and websites, can I join the course? If you have a strong desire to learn and are familiar with basics of internet (Email, Facebook, Some other websites), you can join the course. Do I need to have knowledge regarding programming languages? No. All you need to have is the basic understanding of HTML, Website Functionality, Hosting and Internet. We will take care of the rest. I already have a website but lack SEO knowledge, will I get some help on the topic? Already having a website is a big plus point. We can give you SEO related assignments related to your website which you can implement to see greater results. If I don’t own any website, will I be able to learn? As stated earlier, we will help you create a blog/ website right during the class. So it is not a necessity to formerly own a website. Is this course for people who want to learn advanced SEO techniques? Sorry, we cannot answer this right now. You will have to meet us personally to get your answers. The personal meeting will be a discussion, wherein we will assess some things to give you the right suggestion. And relax, we will not force you to join the course. Can you help me in promoting my blog and getting good traffic? Definitely. We have many examples of successful blogs which are being run by our students. You’ll be surprised to know that the sites run by our trainer have monthly traffic of above 15 million visitors. I am currently employed, what should I do? No worries. We run three regular batches [8:00 AM to 9:30 AM], [6:00 PM to 7:30 PM], and [7:30 PM to 9:00 PM] so you can choose the one which suits you. Will this course be beneficial to a businessman wishing to start an online business? A businessman should have knowledge of what the SEO agencies hired by him actually do. So we strongly recommend this course to upcoming online businessmen. I'm an entrepreneur planning to start my own website. Will this course help me in learning to become an online success? If you are an online entrepreneur already or are planning to become one, you should join this course because learning internet marketing techniques will help you in effectively promoting your products/ services and boost up your sales using minimum resources. Will I get any certificate at the end of the course? We are glad to tell you that you will be awarded with a certificate in Digital Marketing (IDMP - Integrated Digital Marketing Program) once you clear our assessment exam. Want to get Google or Facebook or Youtube or Hubspot Academy certifications? We can help you with that as well. And guess what, most of them are free to attempt. Full payment of fees in one go can get you a discount of 10% of the total fees. There are no other special discounts. Note:- Registration Fee is not separate, it is a part of the Course Fee. What is the registration procedure for this course? For registering yourself for the course you will need to visit our office and fill a registration form to book your seat. Our office timings are 9:30 AM to 7:00 PM. There are limited seats so you should do it as early as possible. If there’s any other doubts you still have, feel free to call us at +91-9602950795. Our trainer truly believes in making the concept clear by using real-world examples. Our Google Analytics Training isn't limited only to the above topics mentioned here. Get Started Today. Step Into the Digital World Now!